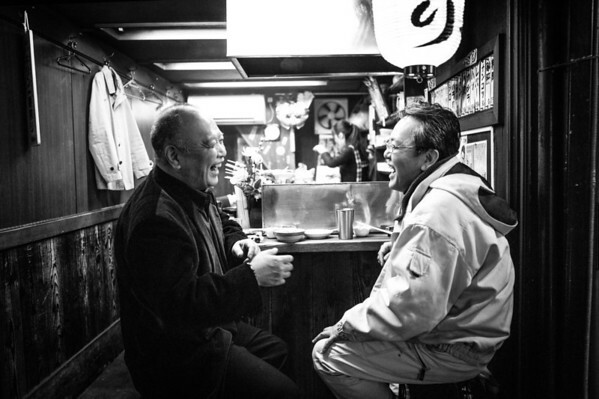 Shinjuku’s Omoide Yokocho is a great way to observe daily life in Japan and the friendship of business associates that is formed in the evening over a meal or a few drinks. The place is so full of life and culture. It is one of my favorite places to visit. I like this one and the next #84 as it captures the essence of the area, now with the prettier name of "omode yokocho" but once (and still) known as "shobengai" or (shonbengai) by the underpass by Shinjuku Nishiguchi. Nicely done! I shot for many years here form the 70s to mid-2000s, and it brings back some great memories! Great job, keep them coming!